Are rhinoplasty customized for each patient? Yes! 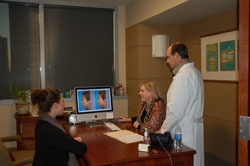 Rhinoplasty is customized to the existing conditions of the nose and to fit individual facial features. Every nose job does not equivalent standards, and not all surgeons perform nose jobs in the same manner. The importance finding a nasal surgeon that has countless years of experience, completed thousands of nose jobs and can provide the patient examples of previous nasal surgeries that he has performed, similar to your own, cannot be stressed enough. What are the pros and cons of nonsurgical versus surgical rhinoplasty? It is not advised to have nonsurgical rhinoplasty if you are considering nasal surgery. The injections placed into the nose will change the shape of the nose for many years, and it is hard to calculate where the rhinoplasty will end up changing the shape of the nose if the change is ongoing based on an injection done the previous year. The best recommendation is to go through the nasal surgery. How do I know if I damaged my nose after I hit it accidentally post rhinoplasty? You cannot fracture your nose by sneezing or touching your nose with your hand. Given that rhinoplasty was done just six weeks ago, it would require a significant amount of force to break the nose. It is normal that the nose tip is swollen tip and will subside in time. An x-ray can be taken of the nose if the bridge looks twisted. Do injectables make secondary rhinoplasty more challenging? It is possible to remove the silicone implant can and resized it to a smaller, more aesthetically desirable implant. Juvederm or Radiesse injections into the nose will make any future nasal surgery more difficult to perform and are not recommended. Several different sizes and shapes of the silicone implants are available to make the Asian nose look extremely refined and pleasing. Are steroid injections used for hard, swollen tip after a rhinoplasty? The use of steroid injections will break up edema and re-channelize the lymphatic swelling that happens in the supratip area of the nose. The injection will also break up scar tissue. Massaging or taping the nose after nasal surgery will not help. Stiffness and swelling should start to pass a year after the rhinoplasty. Depending on the nose tip techniques and cartilage grafting methods performed on the nose, it is possible it could stay swollen for an exceptionally long period of time. Will removing the tape after rhinoplasty harm the results? Taping the nose does not change the results of nasal surgery. Nasal surgery is a sculpting of both bone and cartilage in the complete nose to achieve the desired changes. Nasal surgery is not skin surgery. 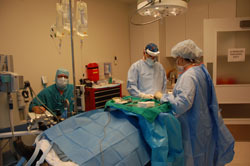 Because rhinoplasty is not skin surgery taping the nose will have no effect on overall outcome.